Two female stoners in the Caribbean create their own strain of Weed and stumble into the Cannabis business. Unbeknownst to them they were entering a profession way more complex than they ever anticipated. Walking in a world of Growers, traffickers and the underworld to legitimate businesses and legal Medicinal products, Kandi & Lu Lu find themselves on a magic carpet ride that begins to spiral out of control. Directed by Rich Nice and Arthur Jones, watch all episodes with new episodes airing at 4:20PM EDT every Friday. 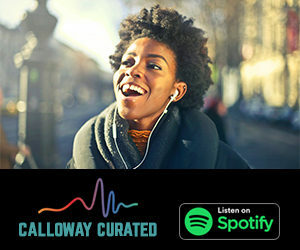 Two female stoners in the Caribbean create their own strain of Weed and stumble into the Cannabis business. Unbeknownst to them they were entering a profession way more complex than they ever anticipated. Walking in a world of Growers, traffickers and the underworld to legitimate businesses and legal Medicinal products, Kandi & Lu Lu find themselves on a magic carpet ride that begins to spiral out of control. 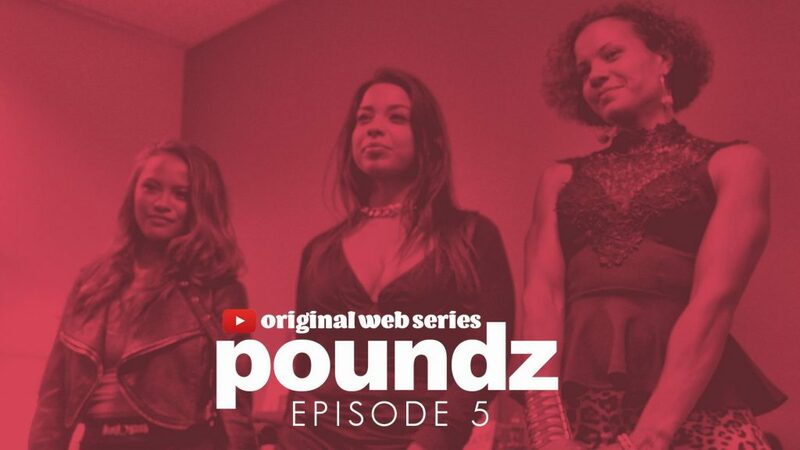 In episode 2 of Poundz, Kandi & Lu Lu are now in business with an intense and dangerous character named Fate who likes to torture people who cross him. Fate has a circle of employees some good, some not so good. In this episode we meet Rico a rag tag small time hustler trying to come up, to his surprise the street hustle isn’t as easy as it looks. 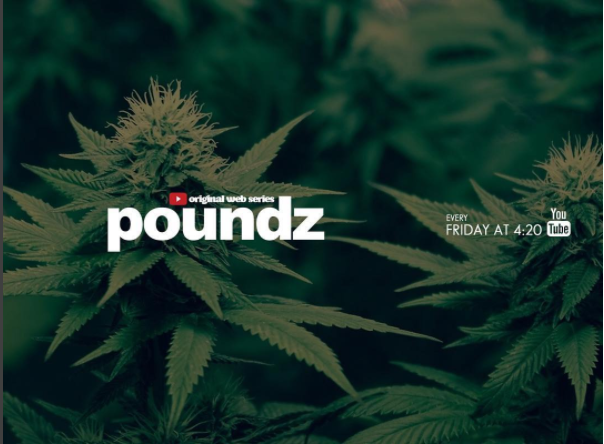 In episode 3 of Poundz, it appears Black’s “Hustle” from the past is catching up with him when old customers roll up on the block at night Meanwhile Rico and Hopper finds themselves falling deeper in the game they now wish to get out of. I.T. and The Green Car Girls have arrived and the sales have increased beyond Fate’s belief. Meanwhile Shadow is living up to his name & reputation. Kandi arrives in New York City after not hearing from Shadow, she wants to know what’s the delay on their money. Kandi finds out just how shady Shadow is as Lu Lu contemplates the work & timing of the next harvest. Fate begins the process of illuminating the middle man to expand his business and makes Kandi a very sweet yet dangerous offer. Manny & Juan get in touch with Hopper. Rico and Black take over the Sticky deliveries. Scooter gives the run down on how the Sticky is moved. Detective Morgan and Detective Books investigate where this High Grade of Cannabis is coming from. Kandi orchestrates the demise of Shadow with help from her cousin Delroy.